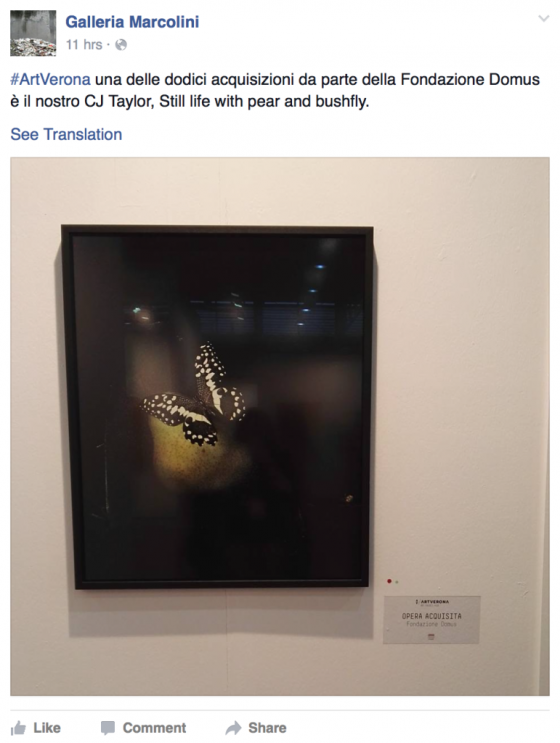 Very pleased that Still Life with pear and bush fly has been acquired by the Fondazione Domus at ArtVerona, a ‘prestigious permanent collection in Italy’, through the auspices of Galleria Marcolini and Director, the indomitable Roberto Farneti. 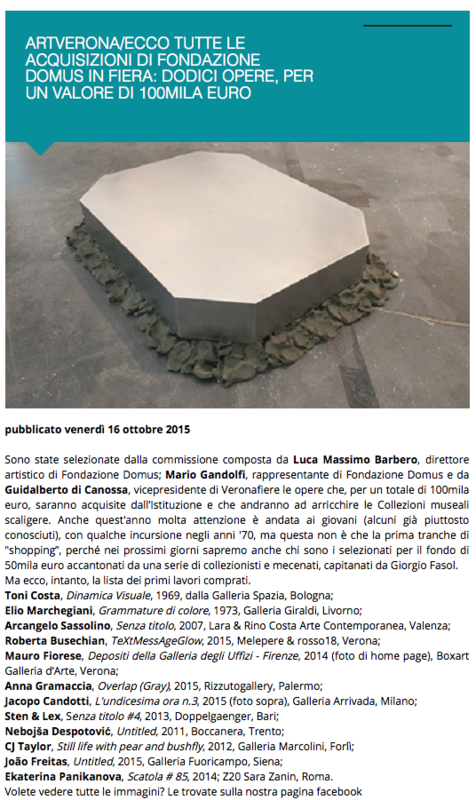 From Google translate: Have been selected by the committee made up of Luca Massimo Barbero, artistic director of Domus Foundation; Mario Gandolfi, representative of the Foundation Domus and Guidalberto of Canossa, vice president of Veronafiere the works, for a total of 100 thousand euro, will be acquired by the institution and that will enrich the Museum collections Scala. Also this year much attention has gone to young people (some already quite known), with a few forays in the ’70s, but this is only the first tranche of “shopping”, because in the coming days we will know who are selected for fund of 50 thousand Euros allocated by a number of collectors and patrons, led by Giorgio Fasol. But here, in the meantime, the list of the first works purchased. Ekaterina Panikanova, Box # 85, 2014; Z20 Sara Zanin, Rome. 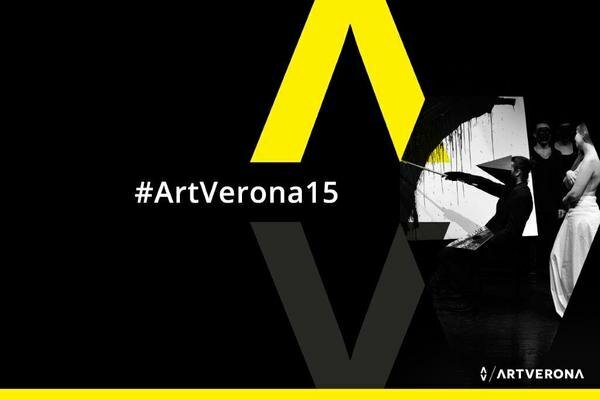 Form the ArtVerona website: The 11 edition of ArtVerona/Art Project Fair, the modern and contemporary art fair organised by Veronafiere, is going to take place from the 16 to the 19 of October 2015, in halls 11 and 12 of the Verona exhibition centre. The fair, which took a huge leap forward in 2014 thanks to its institutional consolidation, a 21% increase in the number of exhibitors, the successful refinement of the works proposed, a 30% increase in the presence of collectors and an increasingly qualified public, intends to pursue the virtuous evolution process undertaken. Under the artistic direction of Andrea Bruciati and with the renewed support of ANGAMC (National Association of Modern and Contemporary Art Galleries), this year too, ArtVerona/Art Project Fair, which has made the communication between modern and contemporary art its distinguishing feature and has been acknowledged over the years as a presenter of innovative formats that prioritise research and experimentation, such as Independents and Raw Zone, will involve some of the most representative Italian galleries, together with the main institutions and personalities of the art system. The fair, held in Verona, a city internationally famed for its history and art, and registered as a UNESCO World Heritage Site, will be accompanied by a rich programme of collateral events, organised in conjunction with local institutions, creating a highly articulated cultural event; a greatly anticipated appointment which records a valuable indication of the market trend thanks to the fact that it is held in early autumn; a growing fair which finds support in coping with incoming flows of visitors and promotion in Veronafiere.